HQ Company, 331st Infantry Regiment "Post Card"
This is an original WWII Army Post Card dated November 5, 1942 and is not franked with stamp "Free Mail". 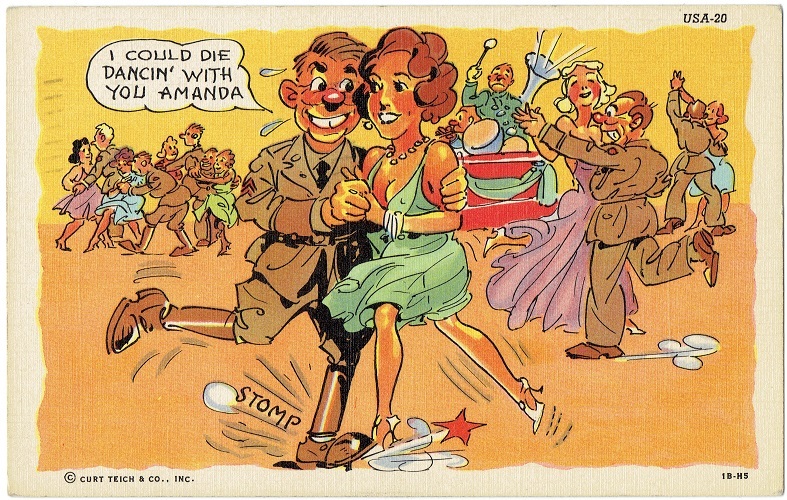 The Post Card was sent by Pvt. 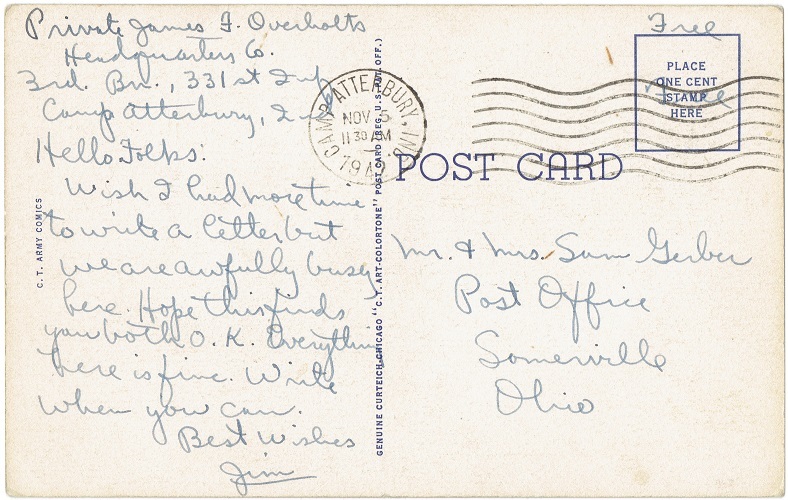 James F. Overholts to Mr. and Mrs. Sam Gerber in Somerville, Ohio. The address the Post Card was sent from is Camp Atterbury, Indiana. Find more info on James F. Overholts on the page "THE MEN OF THE 83rd"